Ready for some fun? 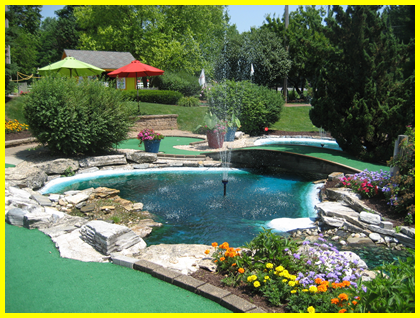 With so many different activities to choose from, Challenge Family Fun Center is sure to please..
During the temperate months, the 22-hole miniature golf course beckons with babbling brooks, fountains and beautiful landscaping. For indoor activities (no bugs, heat, rain! ), check out the batting cages with batting speeds of 35, 40, 50, 60 and 70 mph, also slow pitch softball. Bowling more your style? Duck Pins (mini-bowling) with automatic scorekeeping and no need for special shoes…gutter bumpers are available for small children. There is even an arcade with Skeeball, Air Hockey, Video Games and much more. You can even take home prizes if you play the Redemption Games! Refreshments are plentiful…from hand made pizzas, hot dogs, sausages and pulled pork sandwiches to ice cream for the sweet tooth. Sandwiches and salads are available during the Summer. 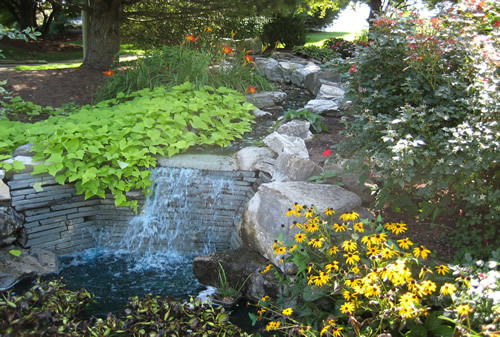 This entry was posted in Hummelstown Area by admin. Bookmark the permalink.